Uno Prism aka Emma Welsby is a young up and coming vibrant nu jazz artist, who originates from Scotland, but is now based in Manchester, England. The young Scot looks set on following the footsteps of some of the great jazz musicians before her with new single ‘Into Place’. This track contains a stylish mix of nu-jazz-inflected electronica that combines Emma’s vibes and expertise with bone-rattling bass rhythms, sweeping cinematic strings, gossamer-like vocals and electronic thrums. ‘Into Place’ is a chilled and relaxing tune. It’s a song that takes you away from the stress of everyday life, and drifts you into a land of calm thinking. It’s a brilliant tune to listen to if you want to relax or concentrate. For example, if you are doing an essay, just put some earphones on and let this song keep you from any external distractions going on around you. ‘Into Place’ is a very catchy tune, which you will definitely have on repeat. As it says in the song, this really is “the best” song Uno Prism has released to date, and really gives off exciting vibes from what’s to come from this rising star. If this song is anything to go by, then Uno Prism is the one to watch for the near future. She has the right musical knowledge and training, along with natural talent that propels this young jazz artist into having a bright future ahead within the music industry. Some of the most talented and famous musicians of all time have come together to create one of the best Bacharach tributes ever made. Featuring 13 Burt Bacharach hits, ‘We All Love Bacharach’ is a blend of jazz, swing and funk to form a refined, elegant album. One of the greatest European jazz pianists Massimo Colombo has formed an entirely unique tribute album of Burt Bacharach’s classics. To escape the cliché jazz album, Colombo has mixed genres featuring Peter Erskine (ex drummer of Weather Report), one of the most appreciated double bass players in the world, Darek Oleszkiewicz, AKA ‘Oles’, Bob Mintzer (member of Yellowjackets), Michael Stever, the new ‘White Cat’ and Kathleen Grace, refined folksinger from the West Coast. The album has been conceived and produced by Giampaolo Pasquile and Michele Garruti for PLAY (Milan) and Oracle Records ltd (London). The producers took inspiration from the likes of Chet Baker, Michael Bublé and Norah Jones, which has formed the smooth jazz sound but with strong elements of pop, funk and folk. Within the 13 tracks are 5 instrumentals that deeply describe the several nuances and moods of the Bacharach songs. Easy Listening music doesn’t come much better than ‘I Didn’t Want To Hear You Say “I’m Leaving”‘ by M’GOO. M’GOO have honed their own brand of super-listenable jazz-pop with meaningful lyrics inspired by true stories of love. ‘I Didn’t Want To Hear You Say “I’m Leaving”‘ poses the question: Do we ever really know the person we love? It recounts the story of a couple who are about to get married, but the woman decides the visit a fortune teller. The psychic tells her that love is not always enough, and so she spontaneously splits from her other half, leaving him desolate and dejected. Consequently, the track embodies the moments after this tragic situation. Whilst the mood of such a story is undoubtedly very sad, M’GOO manage to put a positive spin on it with the upbeat vibe of the song. Instead of wallowing in misery, the track feels as though it looks forward with intent, in lieu of the negative subtext. Mike Meighu’s vocals are pure and honest, perfectly matching the content of the song, and the brass section floats pleasantly over the top of well crafted piano chords and satisfying guitars during the chorus. The songwriting process of the band is refreshing too. These are not just any old love songs; by taking influence from true stories, poems and philosophy, M’GOO open up a rich vein of quality material to base songs on. As a result, there is a sincerity and authenticity found in their music, particularly in ‘I Didn’t Want To Hear You Say “I’m Leaving”‘, that sets their music apart from the status quo. Singer-songwriter Daisy Hicks returns with the jazz inspired pop seasonal single ‘Christmas Without You’. The daughter of legendary jazz drummer Tony Hicks was classically trained so began her career exploring the jazz genre. However she soon deviated from her musical roots and by the age of 19 was signed by Concept Music. After being signed Hicks has had many impressive musical achievements such as collaborating with multi-CMAA award winner Matt Fell, receiving radio play on Capitol and having her track ‘So Much More Than Love’ featured on the hit US TV series ‘Pretty Little Liars’. Daisy’s new work has a laid back jazzy feel but with strong elements of pop, giving it a unique edge. Although ‘Christmas Without You’ is a beautifully formed track Hicks doesn’t stop there and has decided to donate 10% of digital sales to BBC’s Children In Need. ‘Christmas Without You’ will be followed by the 2017 release ‘French Cafe’. 30/11 – Capstone Theatre, Liverpool. Acclaimed contemporary jazz act, Mercury, gear up for the release of their new album Sea Speak along with an exciting tour across the North of England. Formed out of a bunch of music students from RNCN, Mercury performed their first gig at the Manchester Jazz Festival back in 2012. Here they were discovered by a group of organisers at the legendary Kings Place in London, who were so impressed by the group’s sound that they invited them to play at King’s Place itself, propelling the band into a new level of recognition. Mercury has since gone on to be nominated for awards such as the Whittingham Jazz Award in 2013, their lead member Tom Thorp making it to the grand finals of the Taichung International Sax Competition. Developing their sound to incorporate elements of electronica, psychadelia, classical and indie, they have been slowly reshaping jazz for a 21st Century audience, and now have a brand new album in the pipeline titled Sea Speak. ‘Never Be The Same’ is the latest fun upbeat swing single from rising Texas artist Andy Meadows set to appear on his upcoming album Modern Day Crooner. Accompanied by a vibrant 9 piece band, Andy delivers a swanky crooning voice powerful enough to compete with the likes of Harry Connick Jr., Michael Buble and Frank Sinatra. Steel guitar and fiddles meanwhile add a country vibe that harks back to Andy’s roots. Lyrically, the song centres around being love-struck. Growing up in a country radio station owned by his father, the singer developed his interest in music at an early age. He started writing songs at the age of 16 and originally had plans to pursue a career as an opera singer winning his way into Texas Tech University as a vocal performance major. However, knowing opera wasn’t his real passion, he later transferred to South Plains College to study commercial music. It’s easy to see from his social feeds that Neil C. Young is unaffected by the growing hype surrounding his music. Witty and down to earth, he often pokes fun at himself and clearly enjoys simply making music. He is also fully aware of the raised eyebrows caused by his name – shared with one of the best loved songwriters in the world over the last five decades. The similarity has led to crossed wires on many occasions; in one case of mistaken identity, a festival promoter looking to book Neil C. Young received an e-mail from the agent of the other Neil Young, who claimed the jazz musician was an imposter. Stringing together a collective of eight talented jazz musicians over the course of the album, the result is a compelling, complex but accessible brand of jazz music. 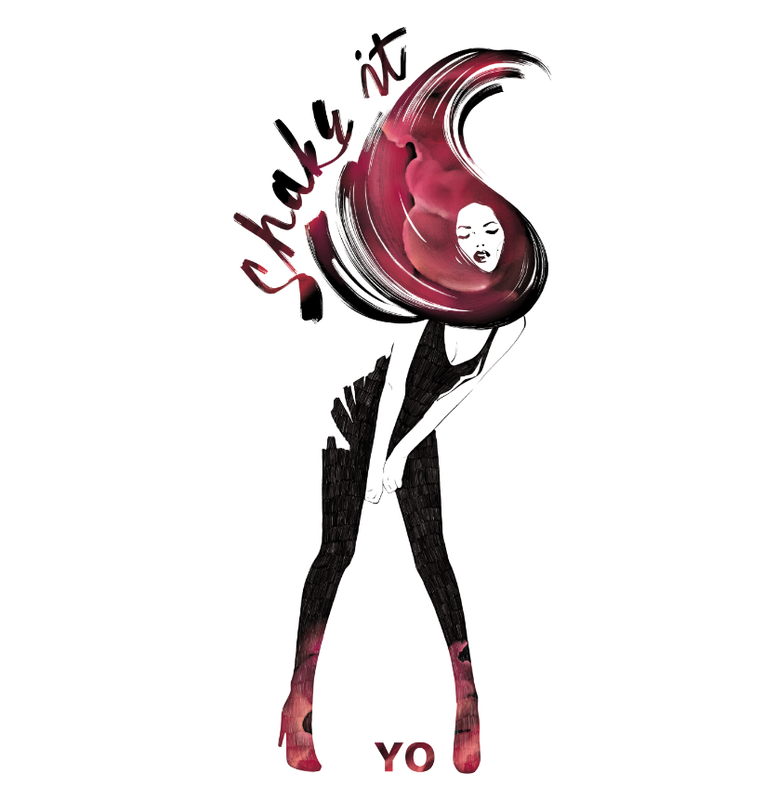 Yo Will Make You ‘Shake It’ With New Single! As New Orleans as their current base, Yo are a rock band not afraid to go against the grain. After scoping the globe and making homes in various corners of the USA and Europe, the music and songwriting draws upon a wealth of inspirations and tales from the road. The latest single taken from the album will be the hard hitting, punk laced track ‘Shake It’ – dripping in punchy bass-lines, quasi-spoken vocals and a distinctly trippy sensibility. ‘Shake It’ as a track represents just one of the many areas and styles that make Yo such an interesting band. Each track is specifically influenced by the place, time and events of its conception, so pinning down a genre is something of a challenge. The single is taken from the album ‘Vagrancy’, an LP which demonstrates perfectly the versatile nature of Yo’s songwriting. Songs such as ‘Shake It’ are seemingly built for the high energy of live performance, but other tracks on the album suit different environments. Whether chilling out at a festival, going for it on a club dancefloor, jumping around at a live gig or relaxing in a local pub, there will be a song on this album which fits perfectly to every situation. Altogether, it makes for a heady cocktail which is tough to pigeonhole, sewn together by the originality of vocalist Andre’s delivery. Single ‘Shake It’ will be available from June 15th. The album is set to be exclusively launched in the duo’s home town of Bristol on April 24th, with the album to follow shortly after. The release marks the culmination of a journey that started with a chance meeting on the way back from the Secret Garden Party festival a number of years ago. Trying to find a way back to Bristol at the end of the festival, Tamsyn managed to find her way onto a truck with a group of revellers heading in that direction. Not long into the journey, an incident on the road left the group stranded for 28 hours waiting for the journey to continue, during which time the group bonded. The only two people from the group headed to Bristol were Tamsyn and James, whose chance meeting has led to a sibling-like closeness, the formation of Toyface and the debut album ‘Follow the Rules of the Trainwreck’. 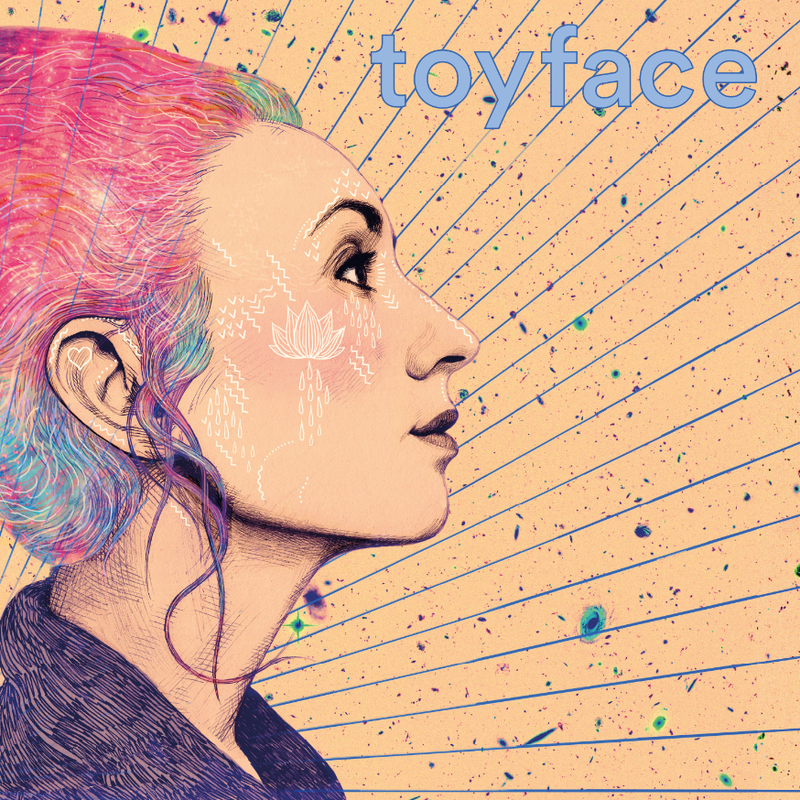 Having been described by a fellow artist as ‘like Laura Marling crossed with Billie Holiday’, Bristol based duo Tamsyn and James, aka Toyface, are a mouth watering proposition for music fans. With a varied collection of 11 songs making up their debut album, the pair have blended an eclectic range of influences that has resulted in an album with strong jazz and cinematic leanings; both playful and plaintive. The pair’s songwriting process is varied: sometimes involving Tamsyn writing lyrics alongside her own simple structures on guitar; but often times working from a cappellas, which James then lays piano chords underneath. This is clearly a combination that works well and has yielded a crop of songs which are relatable to anybody who has ever found themselves working hard to find a place in the world – a situation most, if not all of us, know well. With a new festival season on the horizon, there will be plenty more chances to see Toyface in the very near future, starting with that album launch gig on April 24th. This mellow collection of tunes will make drifting on off in the sun lounger that much easier. Bliss!